My question is, how do I design this battery pack? I have a idea, but want to know if it is a good way to build it? : I also have some others questions: During my searches on internet some people use balanced charge, is it necessary to it use in my case? If yes how? Do I need to use a power adapttor or lithium li-ion battery charger adaptor? 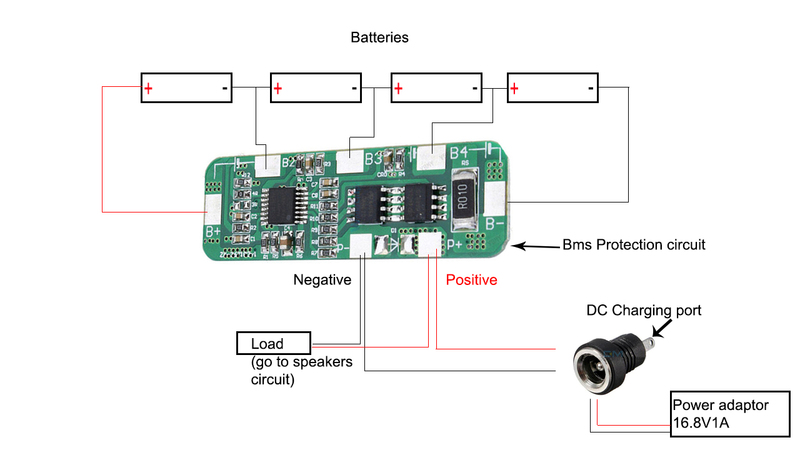 So i recap, if i have correctly understand, A BMS board is designed for protect the cells against Overcharge, over discharge, over current, short circuit protection, right? But for protect the batteries pack life, it need to be balance charge right? Which board can you advice me for protect and balance my batteries pack? 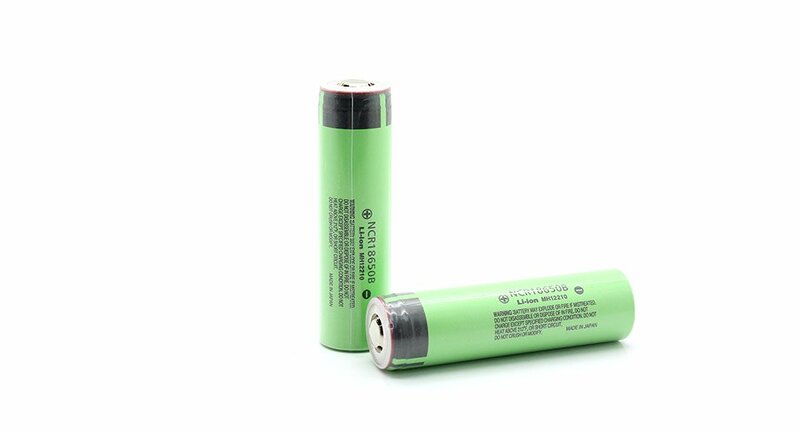 (I have Panasonic unprotected NCR18650B 18650 3.7V 3400mAh) I found a board on aliexpress, what do you think? 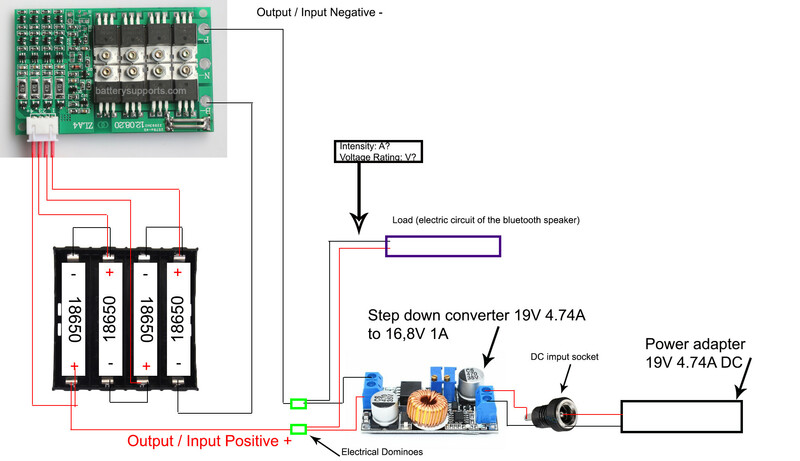 Or i have an other idea, what do you think if i put a balanced charger in the speaker, does it possible the wires stay always connected to the charger and the speaker circuits? Does it is necessary to have a bms for protect my batteries because they are original unprotected ? Another question, Please, can you advice me a reliable BMWS for protect my batteries pack? I'am not there to save money, the safety of the pack is my priority. 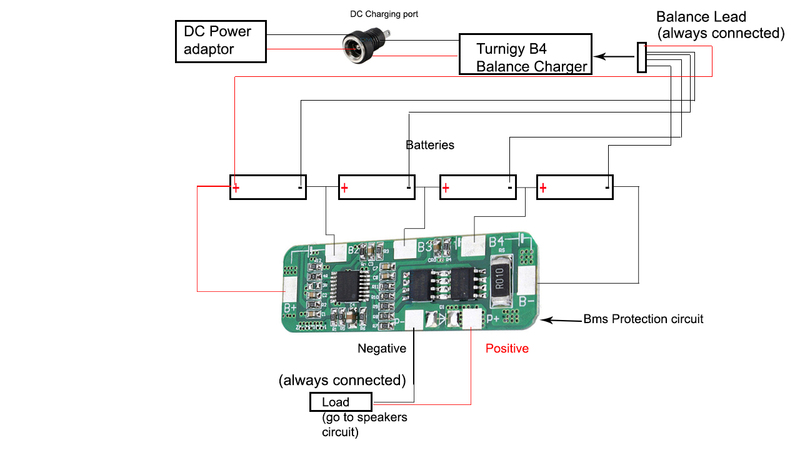 I have several questions, i made a wiring diagram and i want to know if don't have made mistakes: However, several questions remain vague in my mind: The Positive cable and the negative cable are the same cables to charge the battery pack and use it? 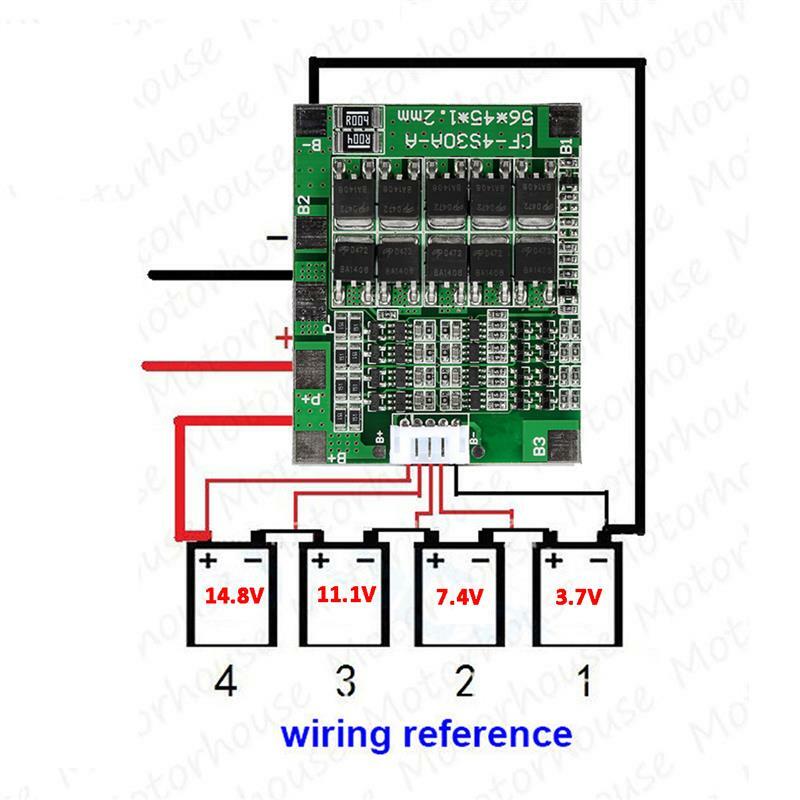 On the diagram (Output / Input Positive + and Output / Input Negative -) Can i use the battery pack at the same time as it charging? For me it seems odd to me because I wonder what the intensity and the voltage sent to electric circuit of the bluetooth speaker. On the diagram (Intensity: A? Voltage Rating: V?) Those of the adapter or the battery? That BMS looks identical to one that I've used and it does NOT do balancing or proper charging. Just protecting from over current, over voltage and under voltage - all of which are very important. You will need to add balance wires and get a balance charger for this battery. Balance wires are easy - they go exactly where the bms wires go - one to each pos and neg of each cell. The balance charger will have a slot for those wires. I recommend looking at the IMAX b6 charger because it is the cheapest balance charger I have seen and seems to work reasonably well up to batteries with 6s or less. Not the answer you're looking for? Browse other questions tagged batteries battery-charging diy or ask your own question. Can I charge a 4S2P lithium battery pack with a 20V laptop power adapter?